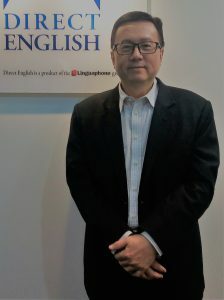 The past couple of months have been most eventful for Direct English Malaysia. Direct English Malaysia partnered St John’s International School to organise the inaugural Tunku Abdullah Debate Challenge (TADC) to honour the memory of the late Tunku Tan Sri Abdullah, the son of Malaysia’s first Yang di-Pertuan Agong. The competition witnessed the participation of both national and international secondary schools in the country. Luminaries like YM Tuanku Zain Al Abidin Ibni Tuanku Muhriz, YM Tunku Halim B. Tunku Abdullah, Prof Dr Ganakumaran Subramaniam, Dato’ Steve Day, Assoc Prof Dr Cordelia Mason and Mr Tony Collingridge adjudicated at the Grand Finals of this debate challenge. Direct English Malaysia had organised its inaugural symposium, Direct English Symposium 2018 (DESym 2018). Over 90 guests and participants comprising entrepreneurs, training providers, ELT practitioners, trainers and teachers were present at the symposium to network and to share and exchange ideas on the way forward in bringing the best ‘Direct English Experience’ to all our stakeholders. Professor Dr Zuraidah Bt. Mohd Don who is Chair of the English Language Standards and Quality Council, Ministry of Education Malaysia was the keynote speaker at the symposium. Direct English Malaysia had also forged a strategic partnership with National Association of Early Childhood Care and Education Malaysia (NAECCEM) who is now our Institutional Accredited Centre. This partnership would benefit not just the professional members of NAECCEM but also all early childhood care and education providers and practitioners in general. Recently, Direct English Malaysia added another feather in its cap when it forged a collaboration with Institut Aminuddin Baki (IAB), a renowned institution under the Ministry of Education Malaysia. IAB, with its five campuses / branches all over the country, is the entity entrusted by the Ministry of Education to deliver educational management and leadership courses to school leaders i.e. principals, headmasters/headmistresses and senior assistants from the Malaysian public schools. The collaboration started with Direct English Malaysia conducting its first training programme for a group of lecturers from IAB (Sabah Branch). Lecturers from all the IAB’s five campuses had also sat for the Direct English Online Placement Test to gauge their level of English proficiency. The above are just some of the achievements/accomplishments that we take pride to share with everyone. We will continue to “Bring English Direct to the World”.